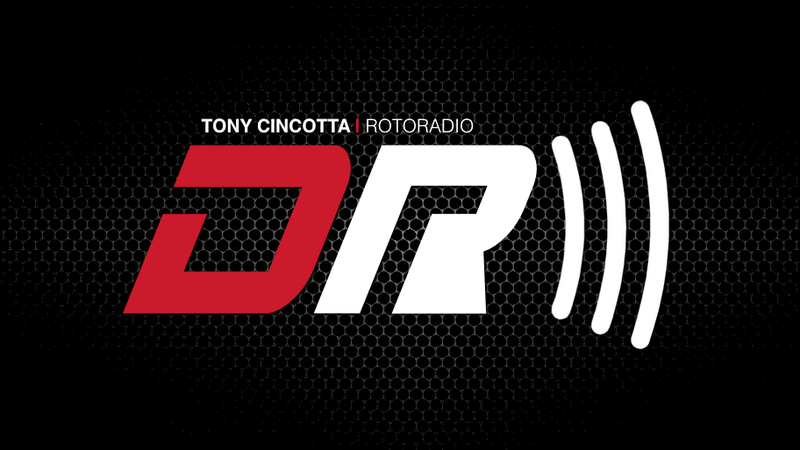 Tony Cincotta is back and he’s breaking down his May 11 MLB DFS picks. We have a small field with a lot of day action and a slate of non-Colorado baseball players. Adam Ronis of the Fantasy Sports Network and SiriusXM Fantasy Sports Radio joined the podcast to discuss a curious total in the New York Yankees and Kansas City Royals game. 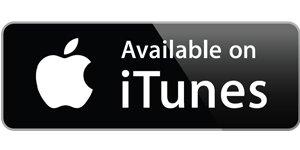 06:33 Adam Ronis joins podcast – Bill Cosby talk? 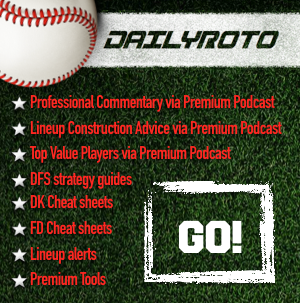 If you’re interested in a DailyRoto Premium MLB Package, DailyRoto contributors and MLB DFS players Drew Dinkmeyer (dinkpiece), Mike Leone (leonem) and Chris Pacheco (TheNumbersGuy) bring you in depth position-by-position analysis each day of the MLB season through a premium podcast as well as site specific cheat sheets for both FanDuel and DraftKings. In addition to the premium podcast and cheat sheets, subscribers receive access to lineup alerts up until (and usually after) 15 minutes prior to roster lock. Also enjoy our MLB DFS strategy articles that will put you in a position for success with a firm understanding of topics like bankroll management, interpreting odds, and how to leverage data to your advantage.